While most of the world has heard of the celebrated Cyprus-born pianist Nicolas Economou, perhaps not too much of it would have heard of Angelos Ionas, Demetris Yiasemides and Antonis Antoniou. 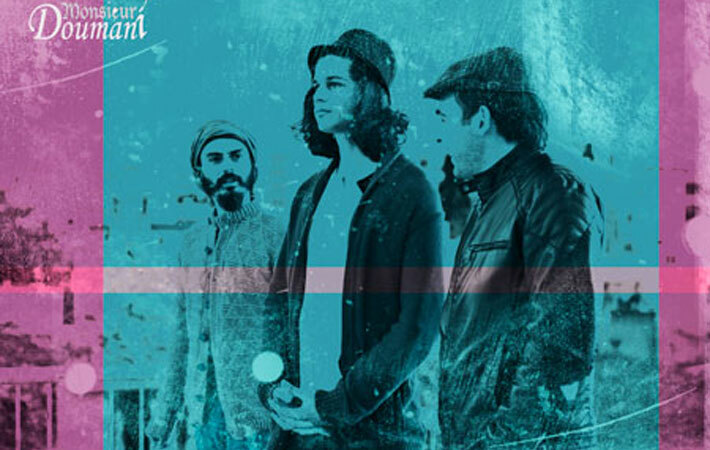 But the world is about to get to know these supremely talented musicians from Nicosia. These are members of the superb trio who call themselves Monsieur Doumani. The name they go by is a reflection of the wickedly humorous irony that pervades throughout their music. The three musicians are something of a revolutionary band. They are politically aware which might not be a rarity in Cyprus, but they make no bones about that fact. And that is rare in an island that does not brook non-conformity. Still, the group of musicians is unafraid of either the stasis that grips most Mediterranean societies or censure. But they are clever as well. Their unique brand of protest is communicated through exquisitely intellectual music that is recreated from the folk songs and poetry of Cyprus. Thus their music has romantic allusions, but is concrete in metaphor and is dripping with sardonic humor. If this seems like minstrelsy that is a touch Provençal it is because it is probably true that some of this fascinating Occitan culture might have crept in from the Cypriot Diaspora spread into the region. Remarkably the music is played sans regular rhythm instruments such as the piano, bass and drums. But this is because Monsieur Doumani is deeply influenced by traditional folk ensembles that combine flutes with tzouras. The flutes are still there in their repertoire, but the group have added the trombone, that gives the music a somewhat forlorn slant soaking in distinctive colours and timbre. 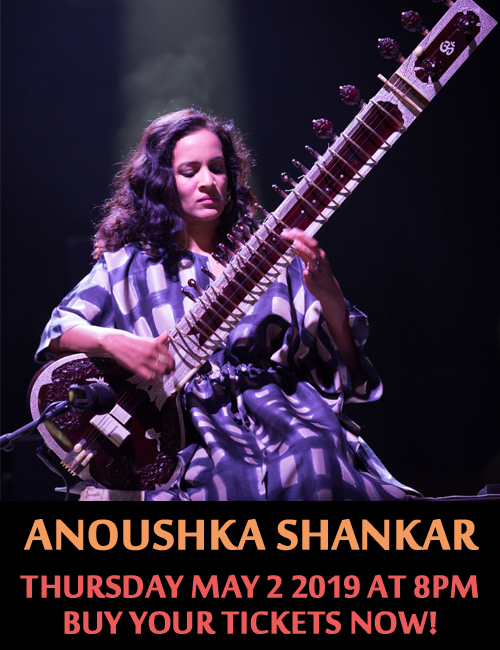 The addition of the guitar adds colour and a sense of dashing rhythmic flair to the music. This music has been recomposed based on old folk tunes. It is naturally story-like and features wildly interesting characters that seem drawn out from films by Federico Fellini. It is this aspect of the music’s personality that gives it a magnificent burnished character. The neo-classicism aspect of the music is revealed in the interesting call-and-response from one vocalist to the other or from vocalist to instrument. This is typically Cypriot and is what the classicists would have called “tshiatísta” or “spite (song) competitions”. However this form has been stood on its head because of the unique counterpoint in the vocal arrangements and in the vocal-instrumentation relationships as well. No wonder the group is catching the eye of all of Europe already. The music of “The Forest Ranger,” “Dark Beauty from Morfou” and the plaintive “Wedding Song” are extraordinary by any standards. The vocalists, quite aware of the freedom of the jazz idiom, inform their music with an impulse for tonal inflection and rhythmic elasticity combined with the deportment of great singing actors. That is often combined with the trombone and other bass-inclined winds that provide these concrete vocalisations with an unshakeable force of nature. Elsewhere what begins with a kind of folksy chaos: muffled vocal cries and whispers soon meanders inevitably and urgently towards the anchoring tonality of guitar and flutes. And the witticisms of “My Baggy Trousers” is edifying. 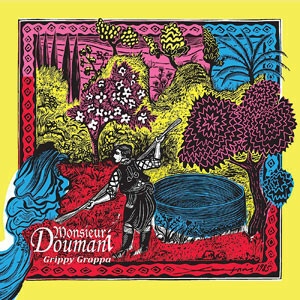 If this album is any indication there is no telling where Monsieur Doumani will go and the heights they might scale in their forthcoming album.